Tonight's drive through the back streets of Downey was all about discovering new examples of yard art. This home had many examples, of which only a few show here. 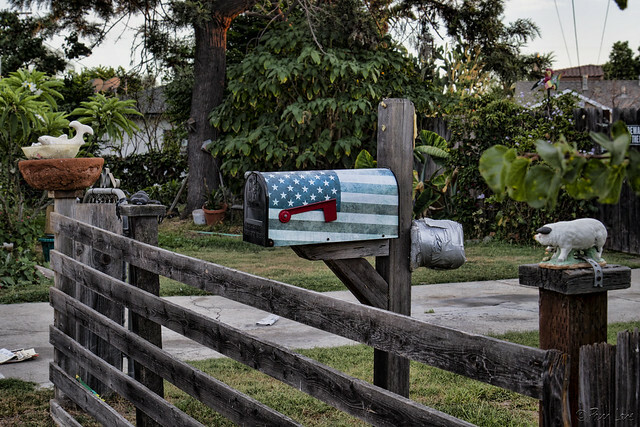 But what caught my eye was the patriotic mailbox. Whether the little red flag is up or down, this flag is always raised.